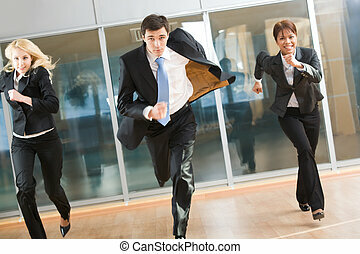 Work rush. 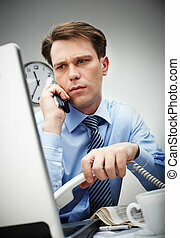 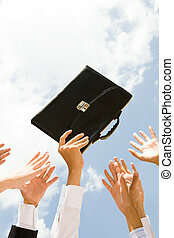 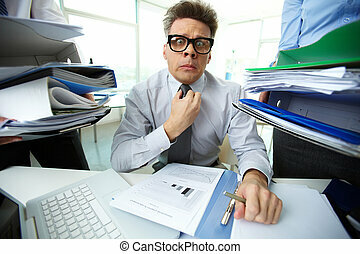 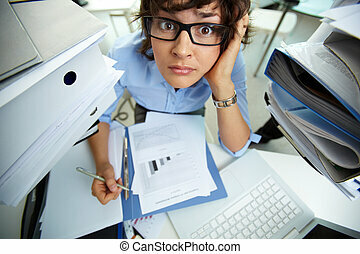 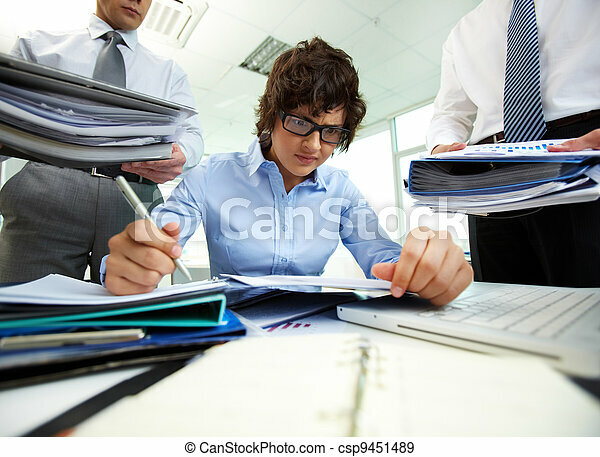 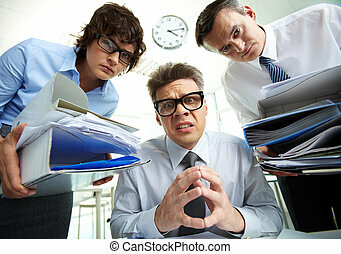 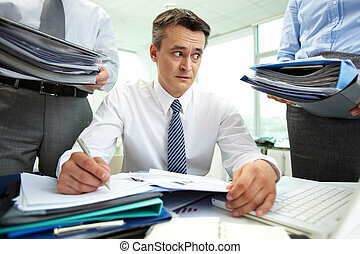 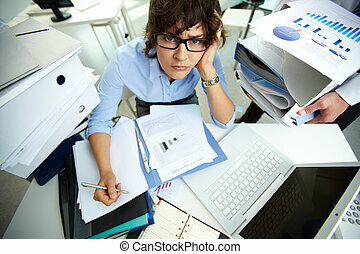 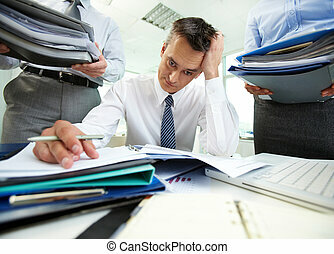 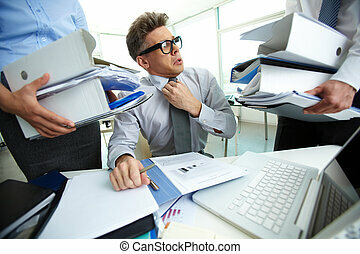 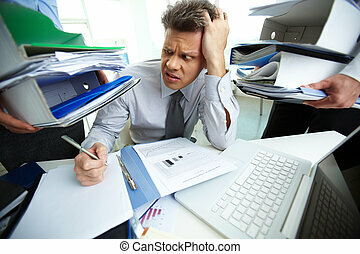 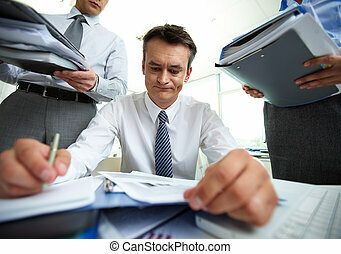 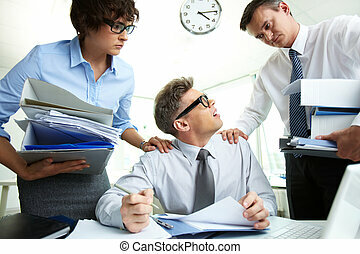 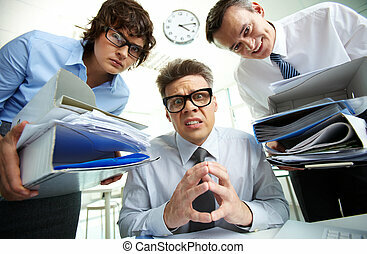 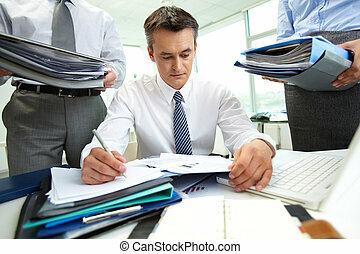 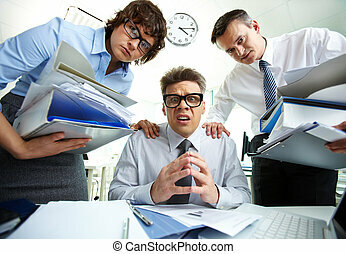 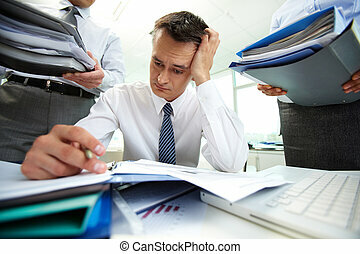 Terrified accountant doing financial reports being surrounded by businessmen with huge piles of documents. 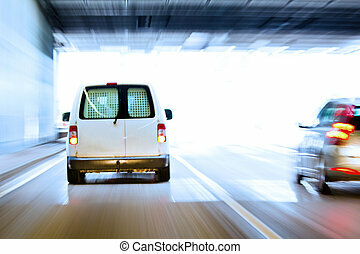 Photograph taken passing through a tunnel during rush hour, where speeding to work is a common occurrence. 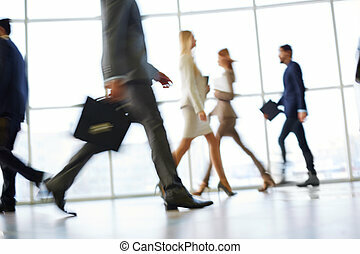 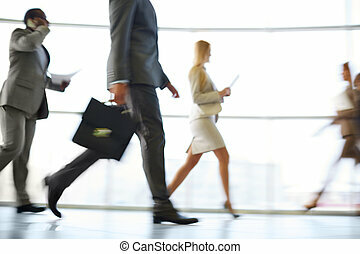 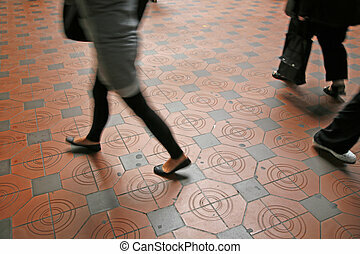 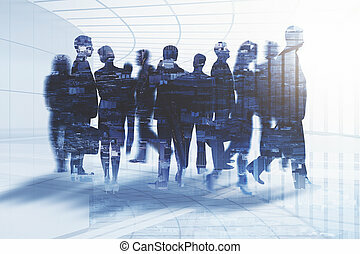 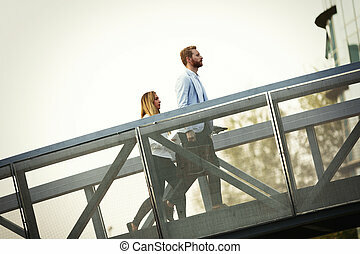 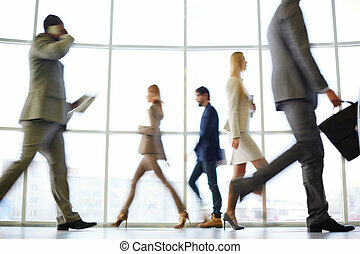 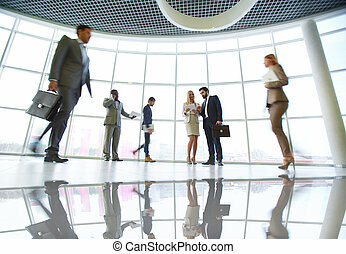 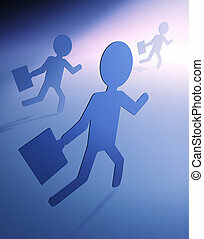 People on their way to work. 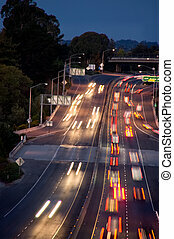 Streaking lights of early morning rush hour cars. 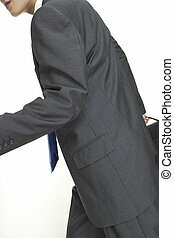 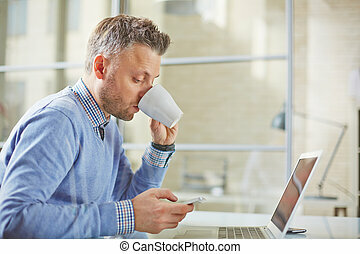 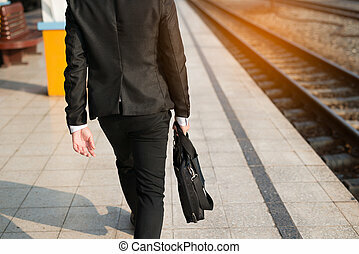 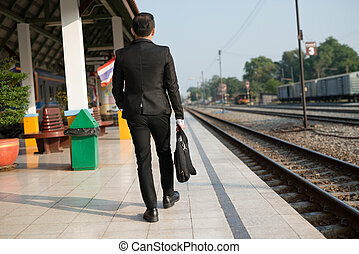 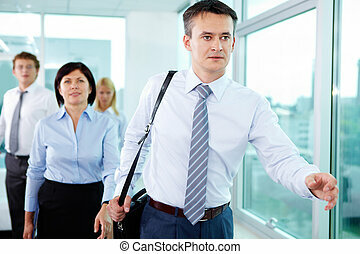 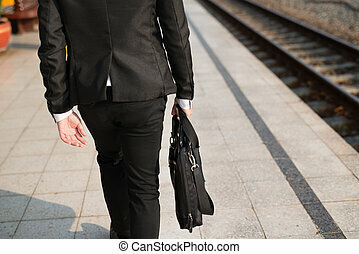 Morning of the first working day Businessman walking at train station in hand holding a suitcase laptop in a rush hour to work. 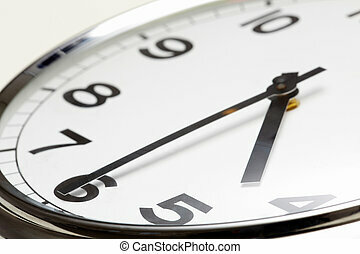 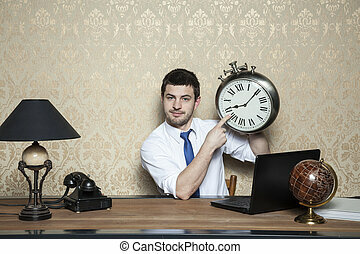 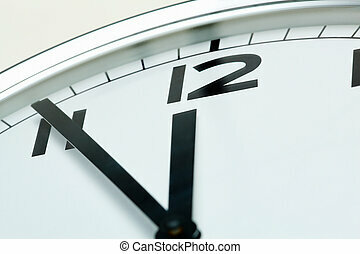 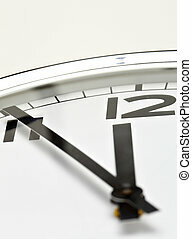 Hurry time. 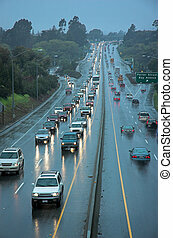 Late night rush hour. 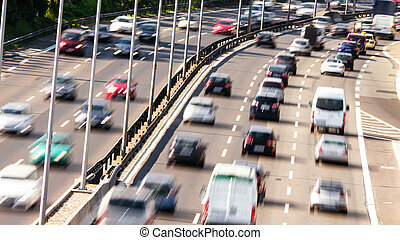 People driving home from work in the city. 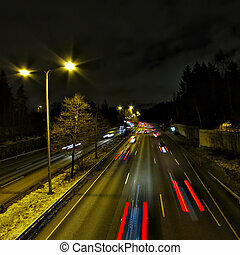 Light trails, long exposure.